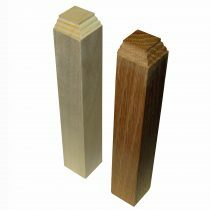 This Inside Corner Block is available in Solid Red Oak and Clear White Pine. This item is sold individually. 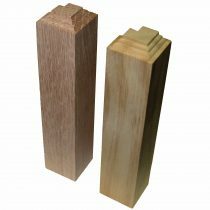 This Outside Corner Block is available in Solid Red Oak and Clear White Pine. This item is sold individually.